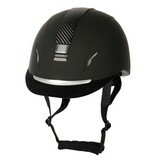 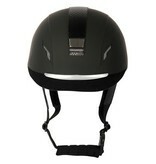 Easily adjustable safety helmet with removable Coolmax lining (also sold separately). 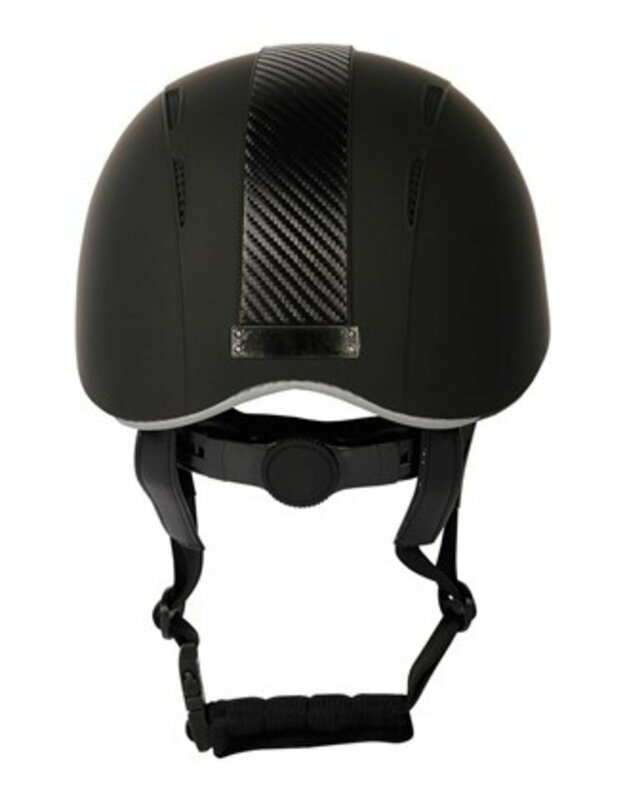 Complies with CE VG1 01.040 2014-12 standards. 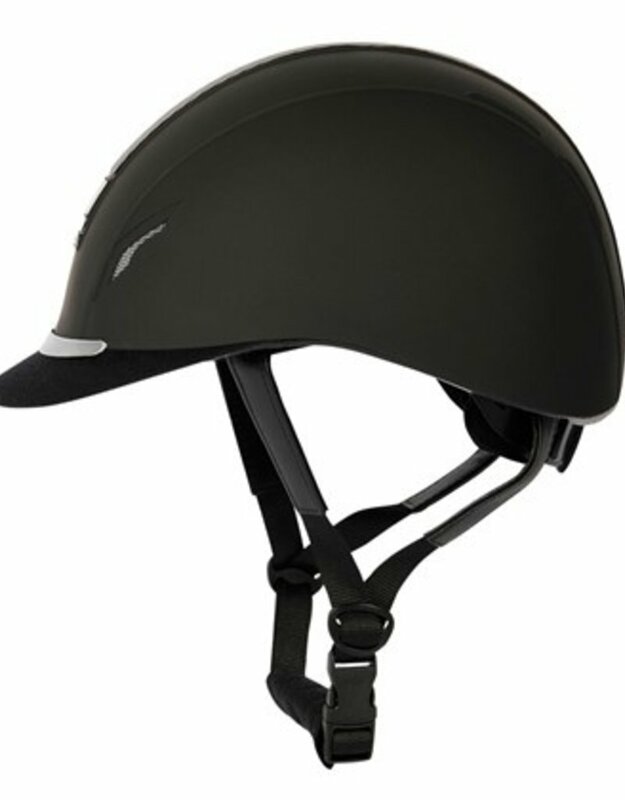 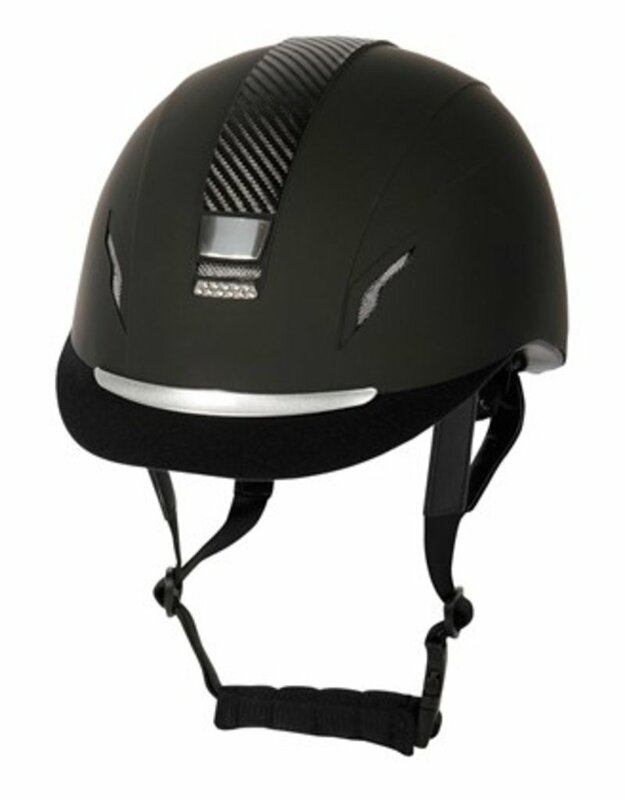 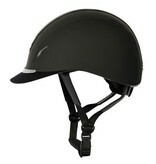 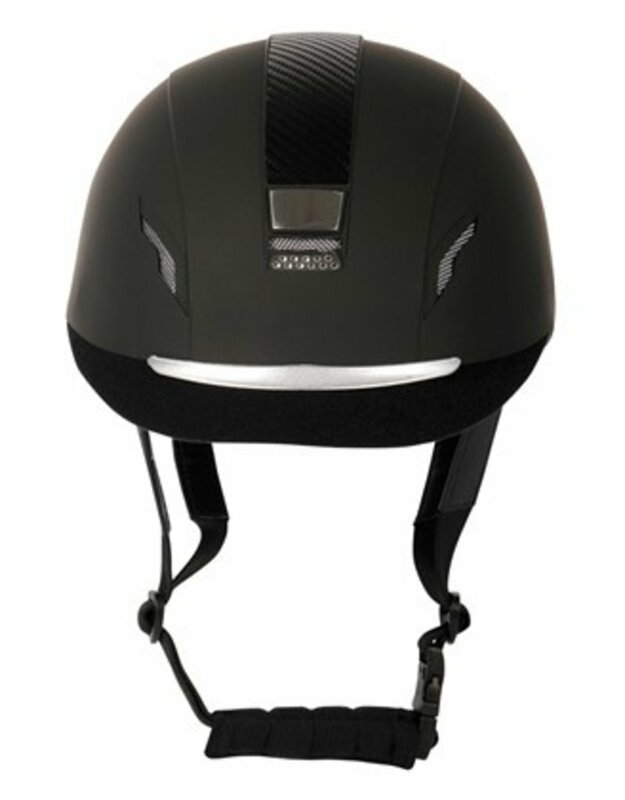 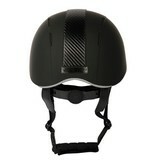 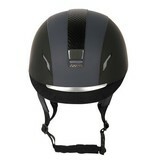 This model is equipped with small crystals at the front and TPU carbon-look leather over the middle of the helmet. 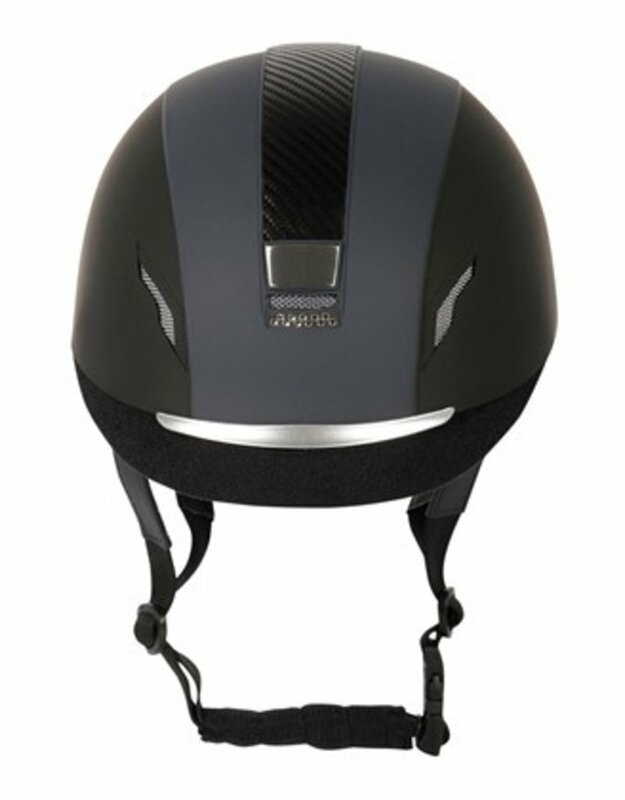 Features multiple vents for optimal ventilation, leather covered lid, chin and ears, reflective piping at the back and nameplate (engraving).